“The Negotiation” has surpassed 1 million moviegoers at the box office! 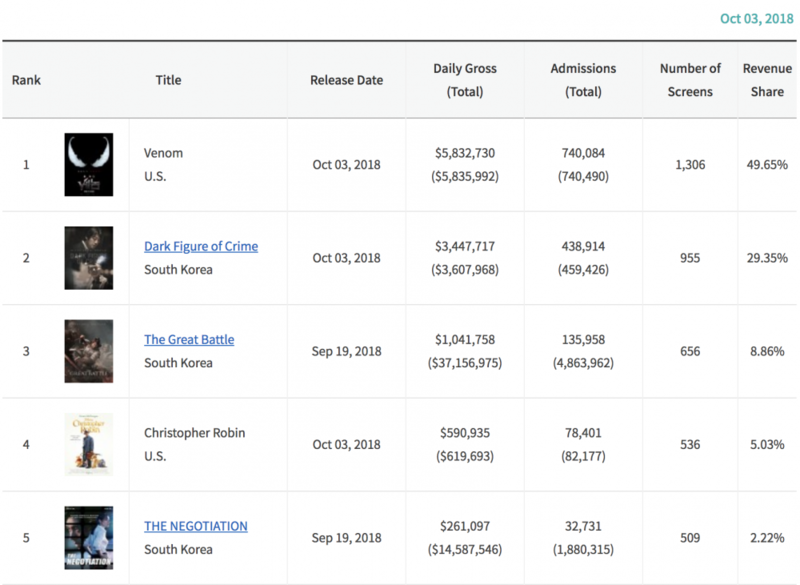 According to the Korean Film Commission, “The Negotiation” reached over 1 million moviegoers on September 25, seven days since its premiere on September 19. To celebrate, Son Ye Jin and Hyun Bin took a photo celebrating not only this milestone, but also Chuseok, one of Korea’s most important holidays. Together, they posed while holding a plate of songpyeon (half-moon shaped rice cakes) that were in the shape of the number 100. “Negotiation” is about an arms dealer who precipitates a hostage situation in Thailand (Hyun Bin) and the police negotiator brought in to handle the crisis (Son Ye Jin). I saw EW on KBSWorld. He was promoting his movie I just realized Hyunbin has dimples! I'll be waiting for this movie's sub. Congrats passing 1M mark for this movie. and also Happy Birthday to Hyun-bin ssi!! Current Total (1st Week): 1,103,564 admissions. Hostage thriller THE NEGOTIATION, a star-driven Chuseok holiday release featuring SON Ye-jin and HYUN Bin, has booked itself theatrical releases in 22 countries. From debuting director LEE Jong-seok, the film kicked off his global rollout in Korea on September 19. Since the Cannes Film Market earlier this year, the film has secured a raft of international release dates, starting with the United States and Canada on September 20. Singapore, Malaysia and Brunei will follow on October 4, with Hong Kong and Macao also earmarked for early October. Taiwan and Vietnam will follow on October 19 with Indonesia also on the books for October 24. CHOI Yoon-hee, the director of international distribution at CJ ENM, explained that buyers in Asia were particularly motivated by the presence of stars SON Ye-jin and HYUN Bin, the latter drawing interest as he takes on the first villain role of his career. SON, who was last seen in the hit fantasy melodrama Be With You alongside SO Ji-sub, plays hostage negotiator Ha Chae-yoon who encounters a hostage crisis in which her own supervisor is kidnapped and has only 12 hours to save the captives. Recently seen in the North Korea action-comedy Confidential Assignment (2017) and the confidence man thriller The Swindlers (2017), HYUN takes on the role of the hostage taker Min Tae-goo. THE NEGOTIATION is the latest title from hit production house JK Film, responsible for two ten million viewer hits - Haeundae (2009) and Ode to My Father (2014) - as well as a slew of other successful tentpoles, including last year’s Confidential Assignment. Local distribution and international sales are being handled by CJ Entertainment.